Car wash is a term used to describe the service available to us that helps us get our car completely washed from the outside as well as inside. The main reason behind the popularity of this service is that people around the world prefer riding cars that not only have a clean exterior but a clean and healthy interior as well. You wouldn’t want to be in a situation where people are somehow looking for ways to avoid sitting in your car. This is why it is so important to get your car frequently washed. You can also prefer to was your car yourself, but that wouldn’t be a great thing to do keeping in mind your car and your skills for the task. In addition, you will only be cleaning your car and doing nothing that these car wash companies do to enhance your car appearance. You may want to do this on your own to save money, but it is not all advisable to do so. The reason why you shouldn’t dirty your own hands is because you might get hurt yourself or damage your car in deliberately. If this happens, you would have to bear additional expenses. 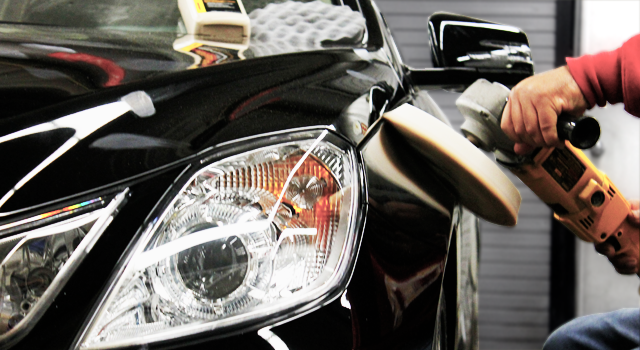 To bring that sparkle back, your car needs something more than just a simple car wash. So, search for an express car detailing servicein Des Plaines. Luxury Auto Salon is one such company that provides express car detailing services at cost-effective prices in your area. While most of the people like hiring car wash service to properly clean their vehicles, there are a few who prefer to take the pain themselves. But, keeping your car in mind, you should always take your car to a car detailing service to get it cleaned and to maintain a new vehicle shine on it for years to come.